Shopify is one of the most-used e-commerce platforms in the world, so it comes as no surprise to me that people of all skill levels make use of it. The advanced users have already passed over this post, so this one’s for you newbies out there. When you’re running an e-commerce storefront, one thing you generally want is an accompanying blog. Why run a blog? I’m not just saying you should because you’re on a site about blog promotion, after all. Blogs are sources of a ton of content, built up over the course of years of activity. Every new blog post is a new chance to be ranked in Google’s search. That means every new blog post is a chance for new people to find and visit your site, which in turn is a new chance for them to find your store and make a purchase. 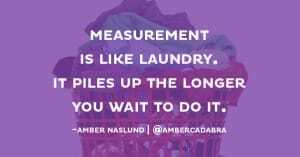 The more content you have, and the better your blog, the more likely these random visits are to add up. 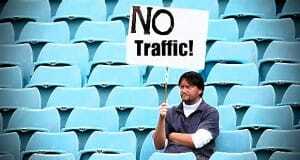 Most top-tier sites get a huge majority of their traffic from this kind of marketing. Now, I’m not going to dig into all of the benefits of content marketing today. You can read all about that elsewhere. No, I’m going to operate on the premise that you’re already convinced you should have a blog, but you’re just not sure how you want to do it. Therefore, I’ve put together five ways you can run a blog with your Shopify store. 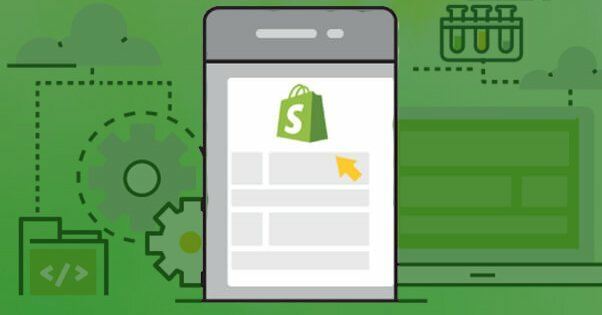 Shopify understands the importance of a blog, and as such, their platform actually includes a blog feature. The trick is, it’s just an additional feature for Shopify, not the main focus. Every Shopify store comes with a default blog named News. You can change the name, or keep it as is. In your Shopify Admin panel, go to Online Store, and then Blog Posts. There will be a Manage Blogs button. 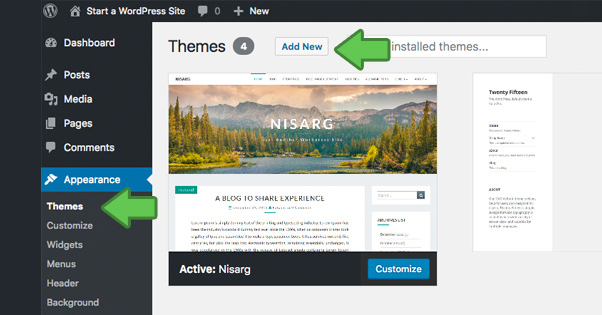 Click it and you can add a new blog, choose how you want it to handle comments, and save it. 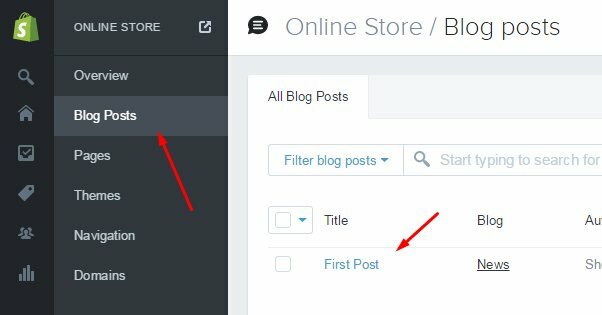 If you’re fine using the basic News blog but want to change the name, go to the same Blog Posts section in the Online Store, and then Manage Blogs. Choose the blog you want to edit and click Edit Blog. Change the title and save it. 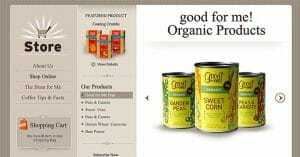 Shopify blogs have limited ability to edit meta data for your storefront. Your meta data is very important, so you want to make sure to customize this. Go to Manage Blogs and click the blog to edit, then find the Search Engine Listing Preview. Click the “Edit Website SEO” button and change both the page title and page description according to meta data best practices. This is fine, but if you have any knowledge of how blogs work, you might recognize that there are some limitations here. Shopify isn’t exactly the powerhouse of SEO; your use of a subdomain and shared hosting can put a damper on your blog growth, and you have to contend with a lot of potential restrictions with what you can and can’t do on the platform. Compare this to something like WordPress, which is a massively popular platform with thousands of plugins that do everything from add minor features to completely change the way the whole site works, and you can see where the limitations add up. Basically, Shopify is a great e-commerce platform with a basic blog feature added to encourage more use of their platform, but it’s very much a secondary feature. That’s why you might consider an advanced option. The first secondary option you have is to run a blog on an external platform and link to it from within your Shopify store. Shopify allows you to link directly in your main navigation. The issue with this is, of course, running the blog in another platform. You have two options here. First, you can run a blog on another hosted platform, similar to Shopify. Blogger, Tumblr, and WordPress.com are all examples of hosted platforms you can use if you like. They’re all good in their own ways, though they all have issues as well. Blogger has issues with bot and spam accounts. Tumblr has inconsistent management and conspiracies point to Yahoo aiming to kill it as unprofitable. 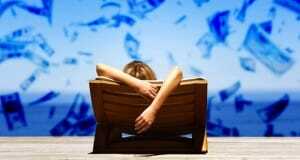 WordPress.com is powerful but limited without paying extra cash to gain additional features. The other alternative is to run your blog on a self-hosted platform. WordPress.org is what I would consider hands-down the best option, but you do need to pay for a domain name and for web hosting, which you may have wanted to avoid if you were using Shopify in the first place. You also have to make sure to keep up with maintenance and updates, which you don’t have to with a hosted platform. Regardless, if you choose to run a blog on a third party platform rather than natively through Shopify, you can add your navigation link quite easily. Simply go to Online Store, then to Navigation. This is where you see your top bar navigation links. Click the menu where you want the blog link to go and click Add Menu Item, or choose an existing menu item to edit and click Edit. Enter the name of the link – like “Our Blog” – and paste in the link to the URL of your blog. Save the menu and you’re good to go. I’ve mentioned above that WordPress has a ton of plugins that can expand its functionality, and I kind of downplayed Shopify in the process, but the fact is Shopify has a lot of its own plugins. They call them Apps, and they have a great app directory here. The first of three methods I have for you regarding apps is to use apps to enhance the functionality of the default blog Shopify lets you run. I’ve already mentioned that their blog is fairly limited, but since they allow these apps, it’s not surprising that people have taken to adding features that would be useful for your blog. Here’s a list of possible apps you may consider installing. Related Blog Posts – This is an app that adds a “related posts” feature box to your blog. Related posts boxes are great for keeping people on your site. They see thumbnails and titles of other posts and have their interest piqued, and the longer they stick around, the more likely they are to buy. Blog Linker – This is a pretty simple app that automatically adds links in your blog posts to related or related-looking products in your store. 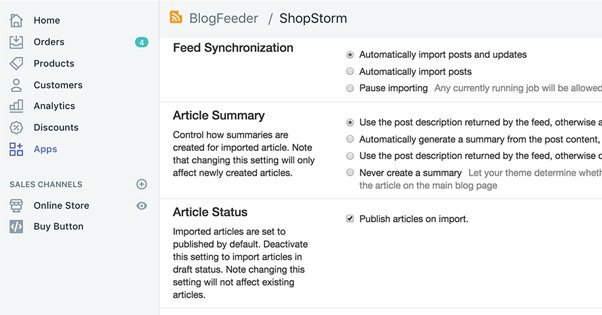 This helps facilitate bringing people from your blog to your storefront, which can occasionally be tricky to pull off. Bold Social Autopilot – This is an app that sets up automatic cross-posting on social media. When you publish a new blog post, this app publishes a post linking to it on whatever social profiles you have configured to work with it. Sitemapper – One way search engines like Google find pages on your site is when you submit a sitemap to their system. This app helps you generate and submit that sitemap to ensure total indexation. Plug In SEO – This is one of several different SEO plugins for Shopify. SEO plugins generally help add different features that make it easier to optimize your site. This one includes an audit that looks for SEO problems you can fix, along with regular email alerts that can point out errors as soon as they happen. Softpulse SEO – This is another all in one SEO manager. This one is less focused on SEO audits and more focused on detailed control over your site SEO. It has alt tag management, dynamic meta tags, and a lot more. It’s still not as robust as something like Yoast for WordPress, but it’s getting there. Smart RSS Feed – The usage of RSS feeds has somewhat declined in recent years, at least as far as my impression of them and the fact that a lot of RSS readers folded a few years back. That said, allowing people to access an RSS feed of your site can be a good idea. This app creates one for both your products and your blog posts. Then, of course, there are a whole lot of apps that can link with other platforms for more advanced features. For example, if you’re using Aweber for email management and newsletter building, there’s an Aweber app that allows you to harvest email addresses from pop-overs directly on your blog and Shopify storefront both. Which of these you want really depends on how deep into customization you want to go. The second option you have is to use a different selection of apps – or some of the above and some of the below – to create a more advanced blog. There are a handful of different apps you can use to give you more advanced styles of blog pages, or even better blog formats, and it’s again up to you how much you want to dig into them for customization’s sake. Shogun Page Builder – This is an advanced landing page and blog post page builder that makes pages that look a lot nicer than the default blog post layouts provided by Shopify. It’s a pretty good app, with the drawback that it’s not free; the full thing will cost you between $20 and $80 per month, depending on the feature list you want. Blog Studio – This is another drag and drop editor that also has a price, and a lot of nice features to it. You can compare and contrast the various page builders, or just go with one that has a name that catches your eye. You really can’t go wrong unless you’re making some off the wall design that hurts usability. 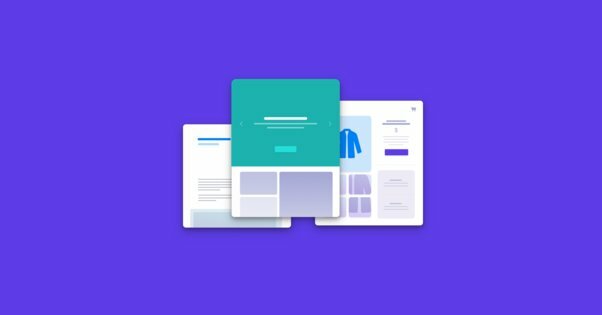 Gem Pages Page Builder – This is a page builder with a bunch of nice templates included, along with the ability to link a bunch of apps from other platforms you might be using, like MailChimp. This has enough additional features that you might want to go for it above the other to page builders I’ve already mentioned. Or not, if those features don’t bring much to the table for you. Add Head Code – This is a simple app that adds a <head> section to your blog that you can edit. Technically the header section exists, but you have to jump through a lot of hoops to change anything with it; this app allows you free access to do things like install header scripts. It’s useful if you want a deeper hands-on approach to customization. Your last option is a bit of a combination of some of the above. You can run a blog off-site and syndicate the content on your Shopify blog, so you have double the chances for your blog posts to catch someone’s eye! Okay, so this is a tricky prospect. Whenever you duplicate content, you run the risk of causing SEO issues for yourself. In this case, the plugin BlogFeeder gives you the ability to sync multiple blogs, but you need to make sure it’s properly handling canonicalization so you don’t shoot yourself in the foot.